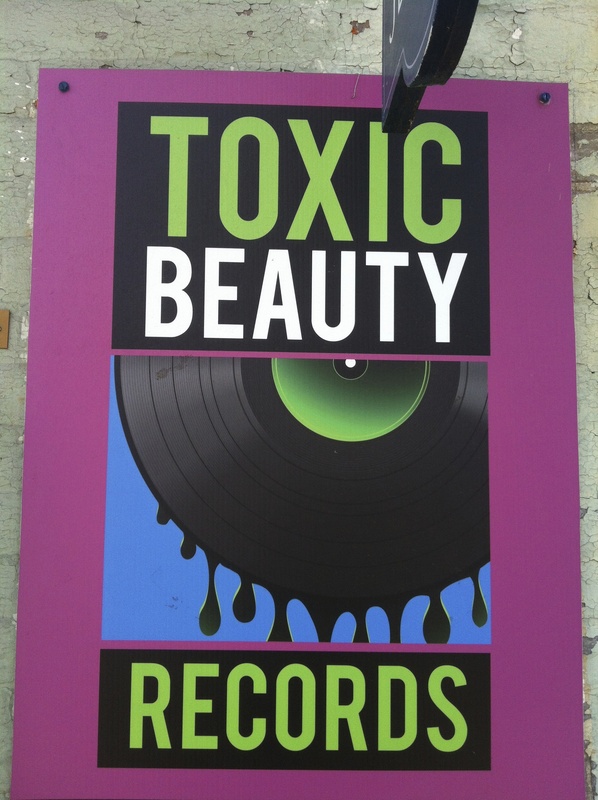 On Sunday, while window shopping in Yellow Springs, Ohio (the cool hippie village up the road from where I live, home to Antioch College and Young’s Jersey Dairy), I stumbled into Toxic Beauty Records, an honest-to-god VINYL record shop. Chatted a bit with Josh, the owner/operator, about the new My Bloody Valentine album coming out soon (first release since 1991!) and poster art, as well as Japanese reissues of Beatles 7″ records. As I flipped through the bins, I found a pretty amazing surprise, especially from a sci-fi nerd perspective. H.R. Giger designed the biomechanical look for the 1979 film ALIEN. Giger has also designed album covers and sleeves. I had found Debbie Harry’s “KooKoo” in a used vinyl bin back in the early 1990s, and had even hung the inner sleeve up on the wall, as a fan of Harry AND Giger. 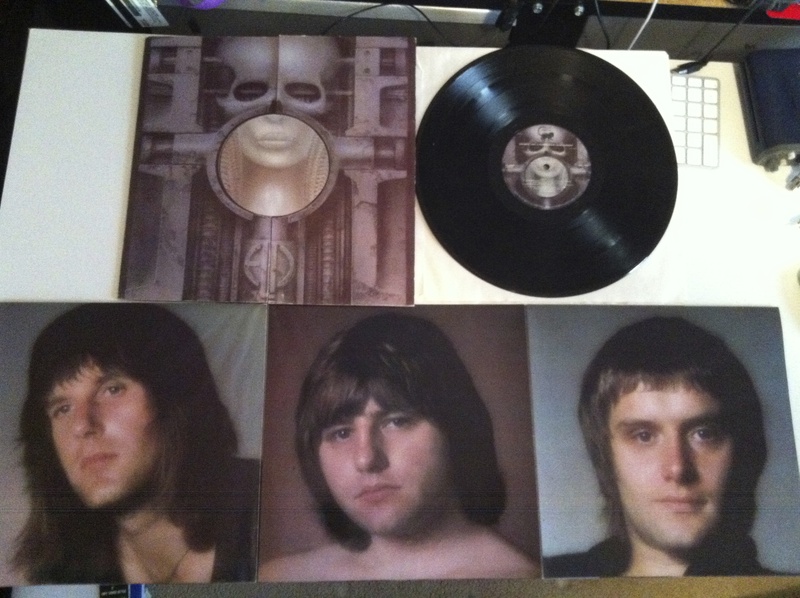 One of Giger’s most famous (and interesting) album cover art designs is for the Emerson, Lake, and Palmer disc Brain Salad Surgery. The album features headshot portraits of all 3 band members on a foldout poster. 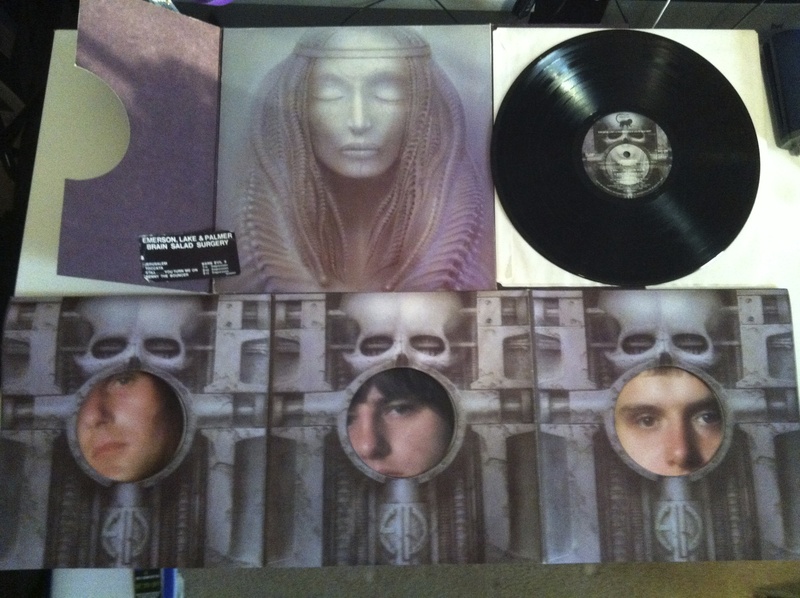 The poster, if folded properly, overlays Giger’s biomechanical artwork around the band’s faces.